If you are not running on Java 8, then there are two ways to calculate the difference between two dates in Java in days, either by using standard JDK classes e.g. java.util.Date and java.util.Calendar or by using the joda-time library. Unfortunately, Java's old Date and Calendar API is buggy and not intuitive, so many of us by default use Joda for all date and time arithmetic. In this example, you will learn how to find the number of days between today and any date entered by a user using Joda, as well as without using any third party library. When I first time face this problem, I thought what's a big deal about finding the difference between dates? If you can convert Date to milliseconds then finding a number of days, months or years are just a matter of simple arithmetic, but I was WRONG. I was not thinking about real world date and time nuisance like leap seconds, leap years, and daylight saving time. It's very difficult to accurately calculate the difference between two dates in Java without using third party library unless you have time to develop your own library like Joda, which diligently takes these things into consideration. Thankfully, you don't need to worry because Java 8 got lucky third time. There is a new Date and Time API which has corrected previous mistakes and turns out to be a real gem. 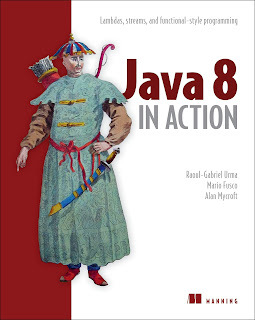 If you are keen to learn Java 8, not just this API, I suggest you grab a copy of Java 8 in Action, one of the better books to learn new features of Java 8 in quick time. Since java.util.Date class implements Comparable interface it's easy to figure out whether a date come before or after another date, or whether two dates are equal to each other as shown here, but when it comes to finding out how many days between two dates? we don't have a simple method like daysBetween(date1, date2) in JDK library. Unfortunately, this is a quite common requirement, as you may need to find days between today and your next birthday, or how many days to your next insurance premium from today, or simply how many days between last two cricket world cups. 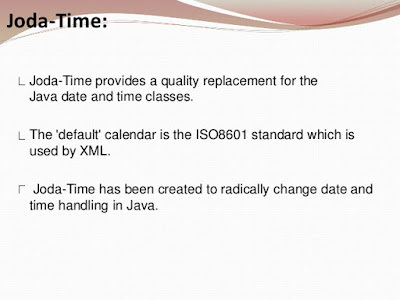 In fact, calculating date and time difference is the most common date arithmetic in Java. In this article, we will see two ways to solve this problem, first by using JDK, without using any third party library and second by using the joda-time library. How to find the difference between two dates in Java? This will work 99% of the time, but just like any quick and dirty solution, it will not handle any special cases e.g. time or timezone, leap years, or day light saving time. It will fail on summer boundaries when day light changes occur. A better solution is to use a tried and tested date and time library like Joda-Time, which handles those tricky scenarios much better. Alternatively, you can also use new java.time classes from Java 8, which are heavily influenced from the joda-time library. 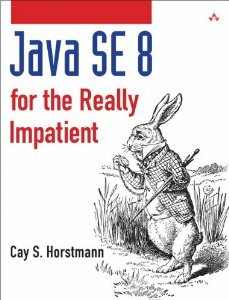 See Java SE 8 for Really Impatient by Cay S. Horstmann for more details. BTW, if you are using JDK 8 then you and use java.time.Period class to calculate the difference between two dates in Java. Here is an example of calculating the date and time difference in Java 8, it's super easy and not error prone like earlier API. There is another class called, java.time.Duration, which is good to calculate a time difference between two instant. How to calculate days between two dates using joda-time in Java? You can see that Days.daysBetween() method accepts a LocalDate and its's very easy to convert an instance of java.util.Date to org.joda.time.LocalDate class, just pass a number of milliseconds to it. If you download JAR file then make sure you add joda-time-2.5.jar in your Java program's classpath and you are done. If you are not sure how to do that, see this tutorial. Here is our full Java program to find out how many days between two dates in Java using standard JDK classes and by using open source Joda Time library. I have name aptly named our program "date diff", as its calculating difference between dates. * Java Program to find number of days between two dates in Java. * without using third party library and by using joda-time library. * without using any third party library. You can see that number of days between two dates are correct and output of both our own method and joda-time is same. That's all about how to find a number of days between two dates in Java. I will advise you to use our quick and dirty solution, only if you are doing it for learning purpose e.g. homework, school assignments or college projects. For real world things, I would suggest to either use joda-time library if you are running on Java 6 or 7 or use new Java 8 date and time API if you are running on JDK 8. There is no reason for not using new Date and Time API if you are running in Java 8, and there is no way not to use joda-time for previous Java versions. You can also calculate a number of months and year between two dates by using this technique. This will give you difference between two dates in number of days. You can further change ChronoUnit to to get the difference in terms of months, years, hours or any other time units. Hello, how do we get number of months between two dates in Java? For example, one date is "22/03/2014" and other is "23/03/2015", how do you get months between them? Right way to find difference between dates in terms of days, months and year is by using ChronoUnit class e.g. @Anonymous and @Swami, thanks for Java 8 examples. 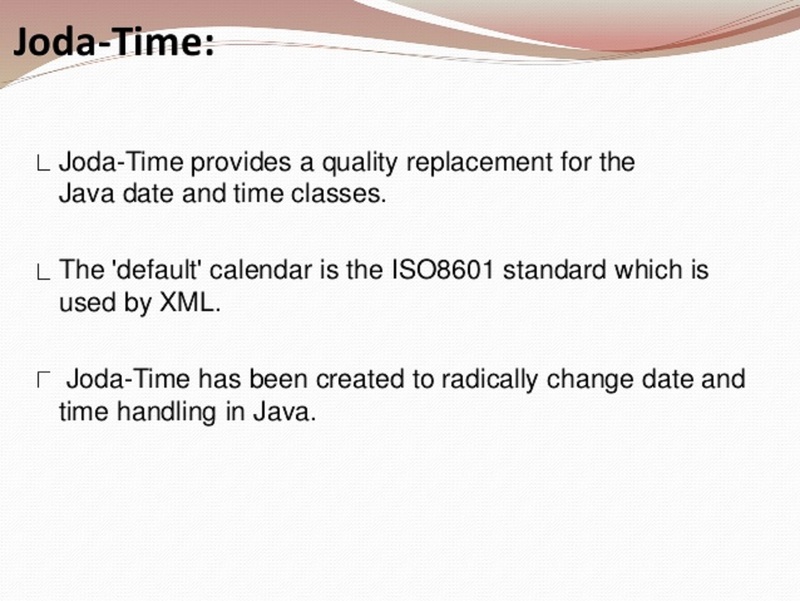 Indeed joda and Java 8 API is way to go, but its good to know how to do basic things with Date and Calendar as well. please How can I print the date on the file??? If you only need to know how many milliseconds, seconds, minutes, or hours passed since an event in your application, consider storing and comparing the system milliseconds instead of a Date or Calendar object. When you are timing timing events that are less than a single day, leap seconds and leap years are immaterial. Even when you are measuring days between events, you probably are rounding off the fractional days anyway. In this case, you may also not really care about being accurate to the second, so again a leap second is immaterial to what you are measuring. If you don't need the accuracy, then you should avoid the overhead of constructing Date and Calendar objects. However, you may not be able to avoid constructing a Date object if you are storing dates as strings. In this case, be sure you know the time zone used to construct the date strings so you can load them correctly. Date.toMilliseconds() returns the same long value regardless of time zone for equivalent dates that refer to the exact same point in time. Everybody else (online calulators, Excel, LibreOffice) says: 1826 days. if you dont want to use standard java library or any 3rd pary you can calculate julian day.